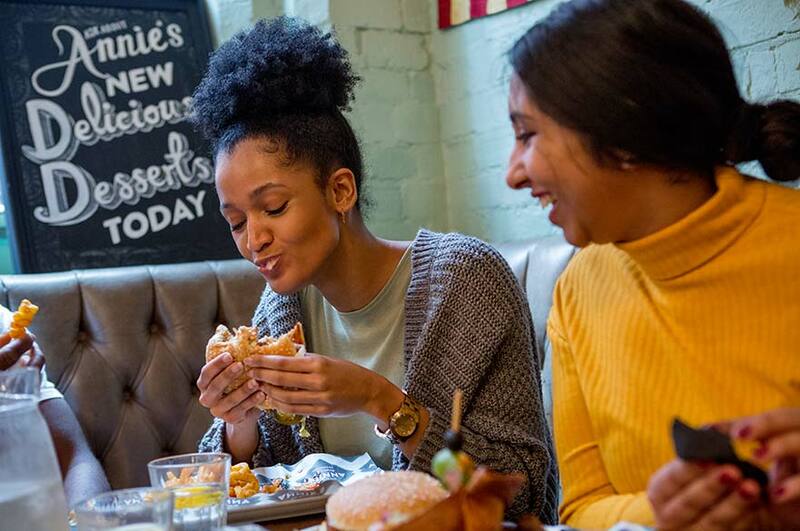 Zingy street food, puddings with pizzazz or pizza by-the-metre – with over 300 places to eat and drink in the city centre alone, you’ll explore new cultures, tastes and experiences the best way: by eating. Nottingham's independent food scene is bursting with personality. It's a city rich in culture and bubbling with world flavours. 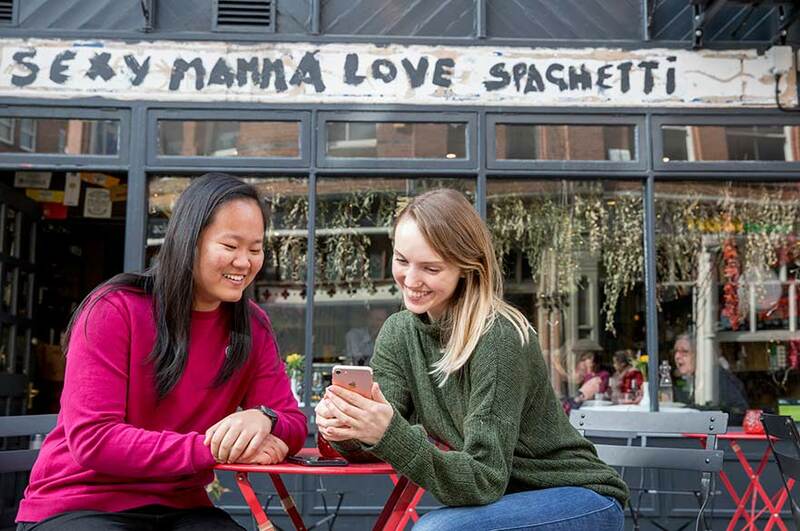 Let vibrant eateries transport your taste buds to the bustling streets of Bangkok, the rustic pizzerias of Naples and the greasy burger joints of New York City. 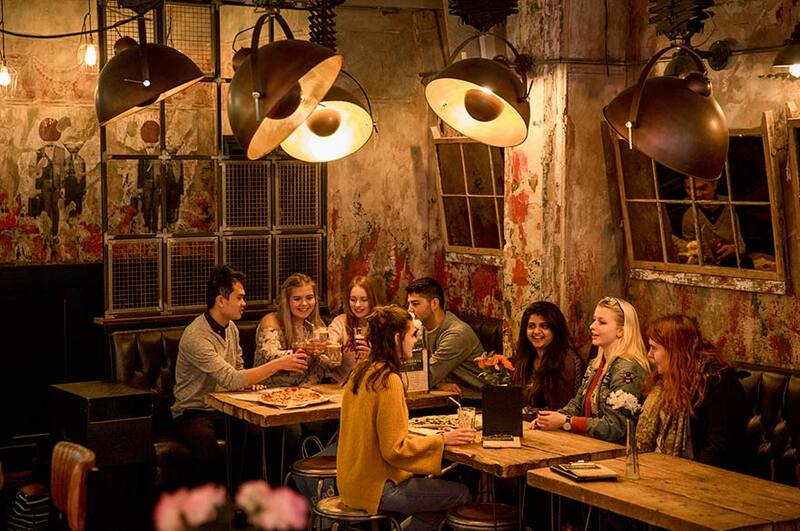 We couldn’t possibly give you a taste of all the great places to eat in Nottingham – here’s ten student hot spots to kick start your adventure. Happy munching. Pizza. By. The. Metre. 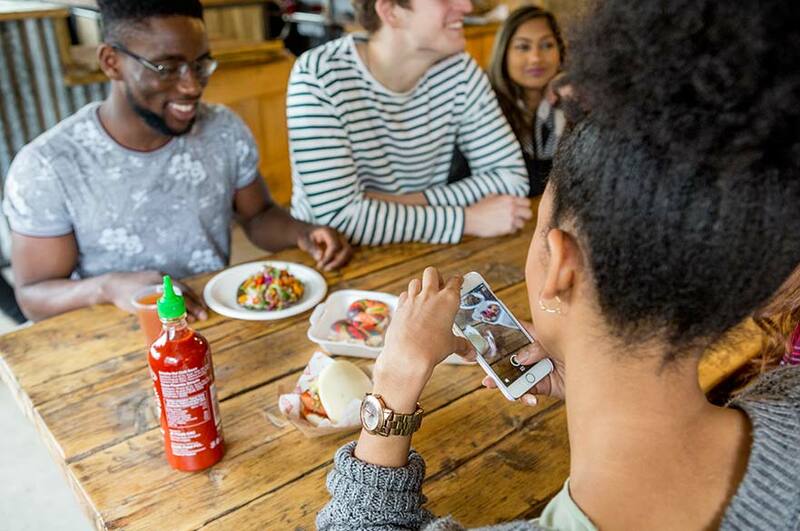 You heard it right – grab your friends and feast your eyes on Nottingham’s favourite foodie challenge. 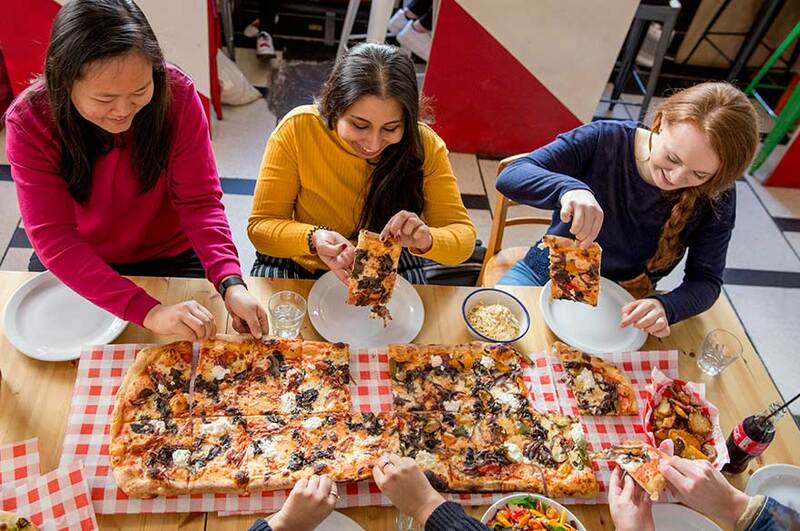 It’s easy to see why this homegrown pizzeria is considered the best in Nottingham: exceptional pizza, fresh toppings and a buzzing atmosphere. This is the closest you’ll get to the street food capital of the world without hopping on a plane. 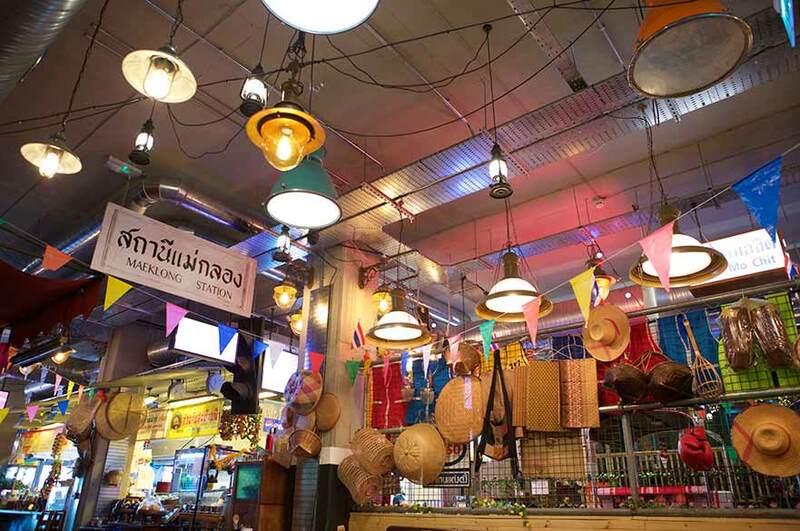 Step inside Zaap and you’ll be teleported to the streets of Bangkok – that’s bright neon lights, tuk tuks, and of course sizzling plates of authentic Thai food. 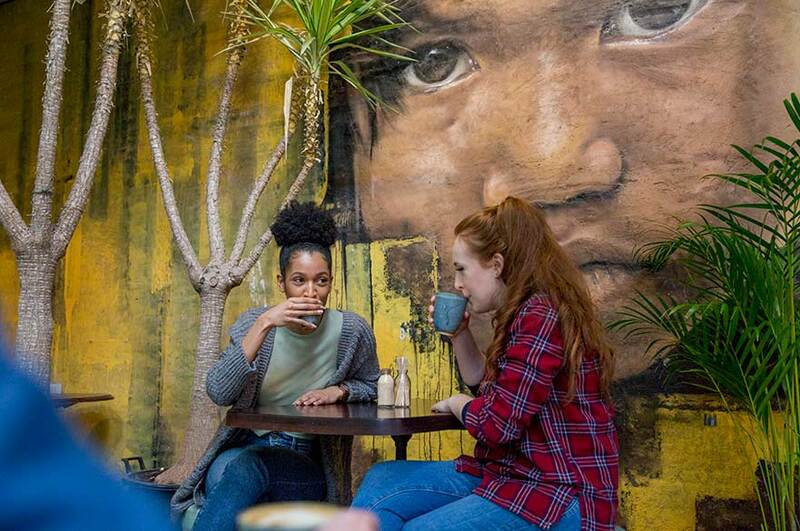 Positive vibes, vibrant food and live music – this indoor street food market embodies Nottingham’s independent flavour. From chicken katsu curry burgers, to Mexican tacos with a Thai-style chicken filling – a fusion of world flavours with a contemporary twist keeps it fresh and exciting. 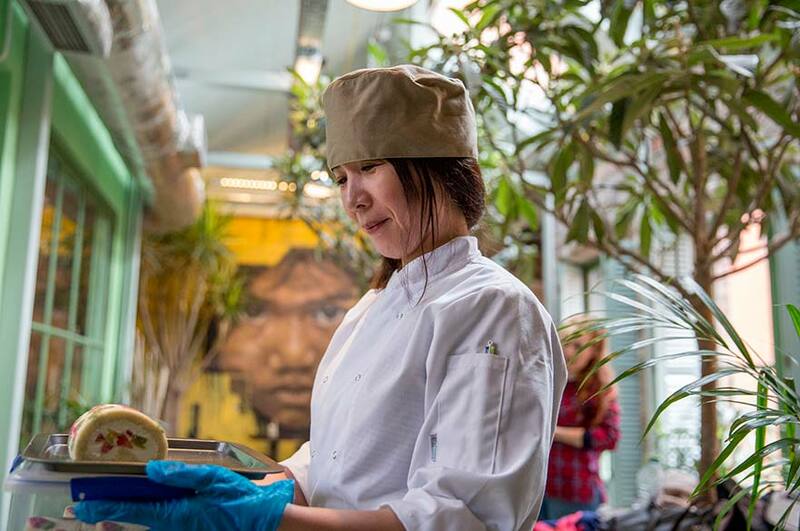 Graffiti art and decor imported from Ho Chi Minh City make this modern Vietnamese restaurant the most Instagrammable venue in Nottingham. Chill with friends in its 1950s Saigon-style café, or watch authentic Vietnamese chefs prepare your food from its secret garden – this is the perfect respite from busy city life. Buckle up for this Rhode Island burger extravaganza (but maybe unbuckle your belt). Choose from a wacky array of burger combos – think half-pounders smothered in peanut butter and jam, or oozing with maple syrup, crispy bacon and pancakes. Bonus: every single burger can be made veggie or vegan. Incredible name, even better pasta. Explore the authentic charm of a true Italian restaurant. Hearty pastas, warm breads and a candlelit glow give you a slice of the family-run businesses you’d find in Naples. There’s nothing ugly about this bakery. As soon as you walk in you’ll be hit with the aroma of freshly baked bread and Italian coffee. 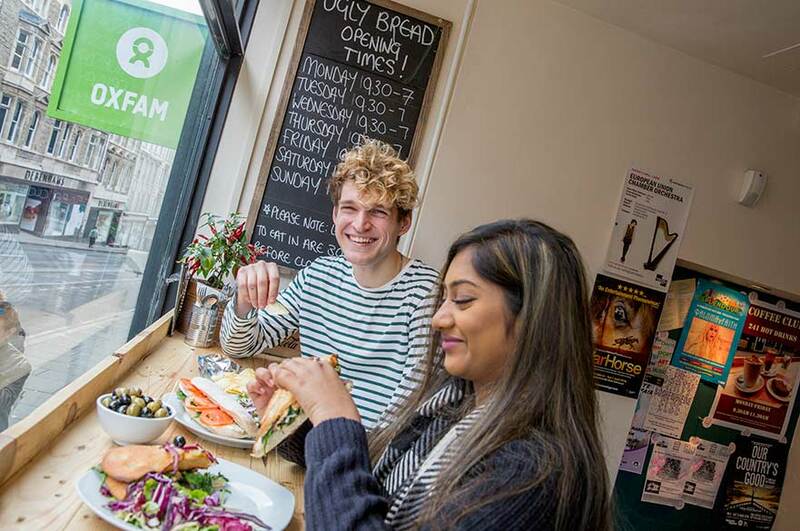 Tuck into trademark ciabatta toasties and deli favourites, with amazing student deals. It’s fresh, cheap and just minutes away from our City Campus. This German-themed bar is all about the experience. Challenge your friends to a game of ping-pong while you tuck into your feast of cheesy pizza, juicy burgers and all-you-can-eat wings. Grab yourself a pint in a stein for a taste of Berlin. This is the new way to eat Indian. Positive vibes shine through in Tamatanga’s funky murals, fun dishes and friendly faces. 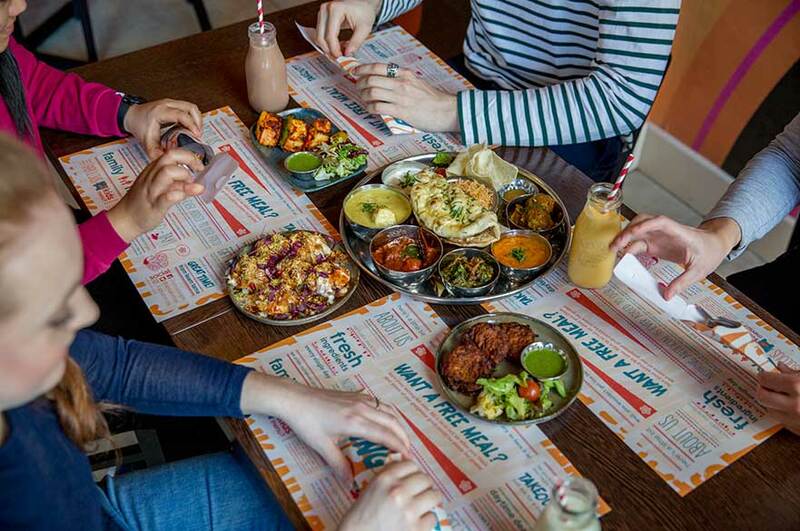 This relaxed restaurant is big on the community vibe: think large tables full of locally sourced Indian dishes and thalis. Gooey mud pie, delicate pastries and fluffy pancakes – this sweet haven is the kind of place dreams are made of. 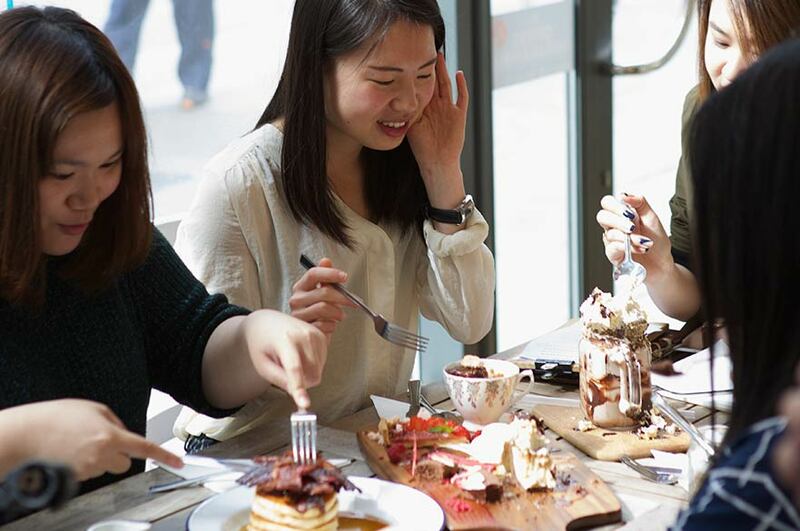 Indulge in American style pancakes or satisfy your brunch needs with smashed avocado on sourdough – just make sure you leave room for one of their Instagram-worthy freak shakes!